When I wasn't allowed to ask council questions, I questioned Paul Carter, then LibDem Executive Councillor for Finance in the car park. He eventually came up with this explanation for the doubling in cost of this primary school. 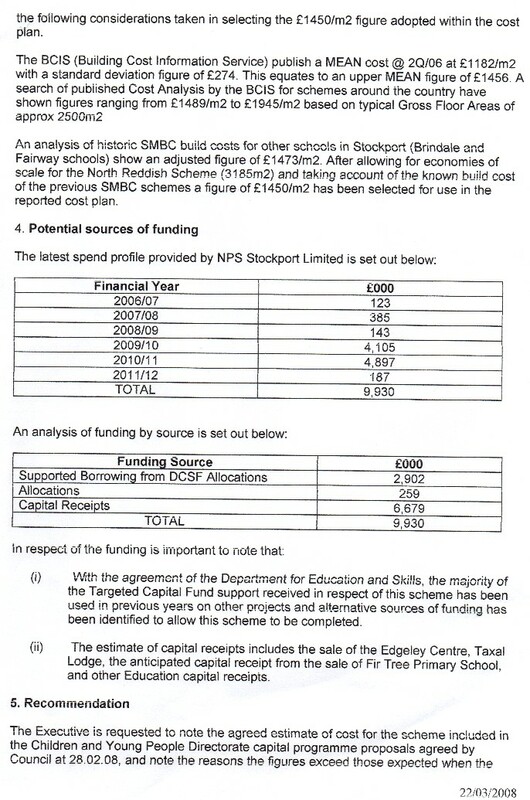 You will see from the document above that they have used a figure of £1450m2. You will see from the document below that the attribute some of the monumental rise in cost of this school to an increase in floor area from 2600m2 to 3185m2 and they have themselves given the figure they used as £1450m2. 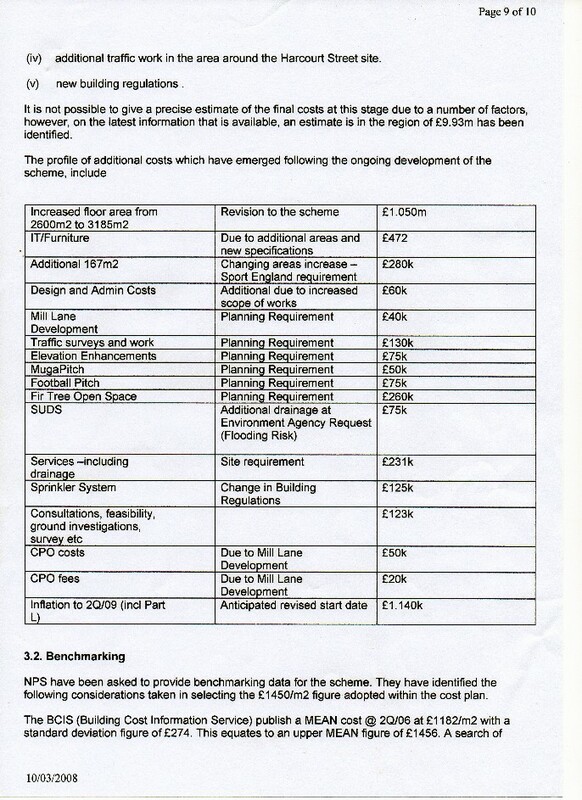 So, this is an increase of 585m2 at £1450 the cost of which they have put at £1,050,000 when I believe it to be £848,250. I might, of course, be wrong but I have tried to check year after year after this this apparent financial irregularity of £201,750. Surely as a council taxpayer I am entitled to some response!